Paranormal TV shows continue to be churned out on a weekly basis. The latest to catch my eye is called When Ghosts Attack which premiered last month on Destination America. It feels more like an extension of their other hit show A Haunting which features first-person accounts with the actual victims and reenactments with strangely similar-looking actors. The focus of this show is a very specific: malevolent forces that cause physical harm. Many paranormal experts believe that ghosts are rarely able to move objects – most don’t even have enough energy to visually appear. 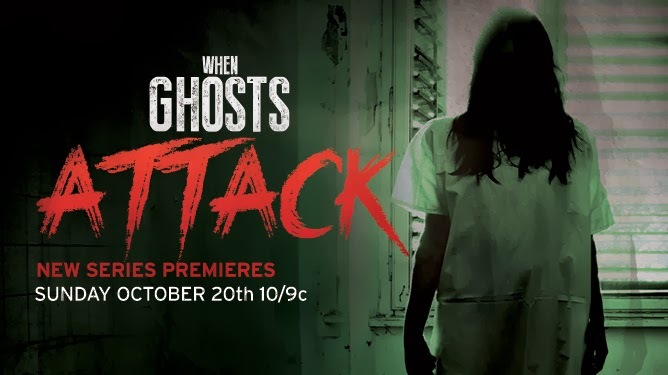 Often physical hauntings are believed to be caused by non-human forces (shudder), so perhaps this show should be called When DEMONS Attack. That’s probably a little too intense for Destination America but it makes this well-produced series more compelling. Each story is given a short 30 minutes to unfold and rarely offers a resolution for the victims, many of whom simply flee. Viewers of haunting shows know that doesn’t solve much, and so far the show has not involved any paranormal experts to offer assistance. I feel bad for these people, and whether you believe ghosts exist or hoaxes abound, it still makes for an entertaining late-night show.